Britain blames Russia for the nerve agent attack on the two on March 4, which has sparked an international diplomatic crisis. 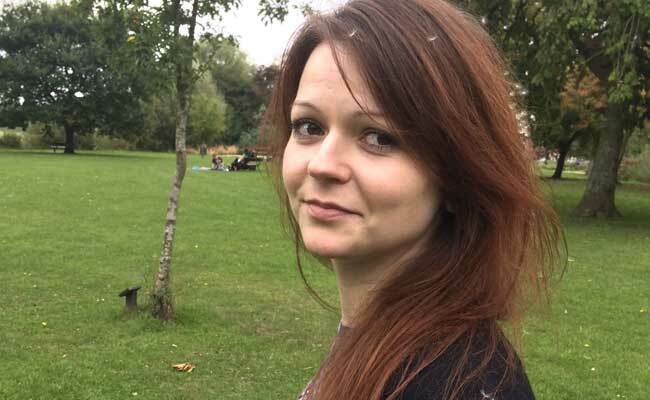 London: Yulia Skripal, who was poisoned in England last month along with her Russian ex-spy father, has refused consular assistance from the Russian embassy, a British foreign ministry spokesman said. "We have previously passed on the Russian embassy's offer of consular support to Yulia," the spokesman said on Wednesday. "She is free to decide on whether she wishes to pursue that. To date, we understand she has not done so," he said. The hospital that has been treating the two in the English city of Salisbury said on Tuesday that Yulia Skripal had been discharged while her father would remain for treatment. Responding to reports that the pair may be resettled, the Russian embassy to London said: "Secret resettlement of Mr and Ms Skripal, barred from any contact with their family, will be seen as an abduction or at least as their forced isolation." Yulia Skripal was visiting her father when the attack happened. Sergei Skripal was imprisoned in Russia for selling secrets to British intelligence in the 1990s but was exchanged in a spy swap in 2010.